Best Value Mattress sells Hotel Collection Mattresses at the best prices around. 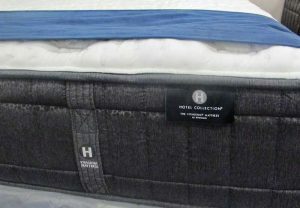 We have many factory clearance models of the Hotel Collection Mattresses. See our Factory Clearance models here. Hotel Collection Mattresses are made with first rate craftsmanship which sets these beds apart from the rest. 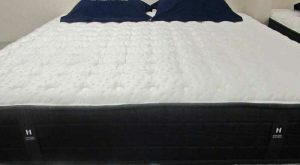 The hand-tufted mattresses offer a unique combination of Pillowflex™, high-density convoluted foam & an outer-tufted panel to provide the ultimate in surface support. A layer of cooling visco & a layer of talalay latex add a plush, temperature-balanced feel to the bed. These mattresses are Made in USA. Best Value Mattress carries Hotel Collection by Aireloom Vitagenic Streamline Luxury Firm Mattress Sets in Comfort levels: plush, extra firm, firm, cushion firm. Best Value Mattress Warehouse has the amazing Macy’s Vitagenic Copper Gel Plush mattress available in a Queen Set for only $999.95! King sets are only $1,399.95! These prices are less than half of the department store typical sale prices for these mattresses. You need to try the Macy’s Vitagenic Copper Gel Firm Mattress to appreciate how comfortable it is. You can have a Queen Set of this luxury mattress for only $999.95! A King Set of the Vitagenic Copper Gel Firm is also only $1,399.95!